The title of this work is said to have been taken from his mental image of primitive life coming into being. However, the work says much more than that: it is manifold with many meanings, supported by his rich imagination and scientific thought. Tony Gragg made his debut at the end of the 1970's with wall and floor installations that had broken plastic pieces (or wastes) in them. 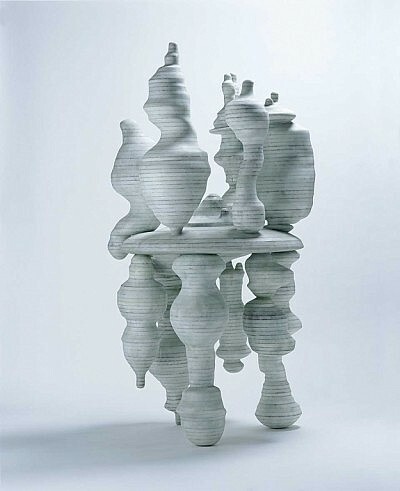 Then in the 1980's he exhibited "three-dimensional" autonomous sculptures, using conventional materials for sculpture as well as plastic and styrofoam.